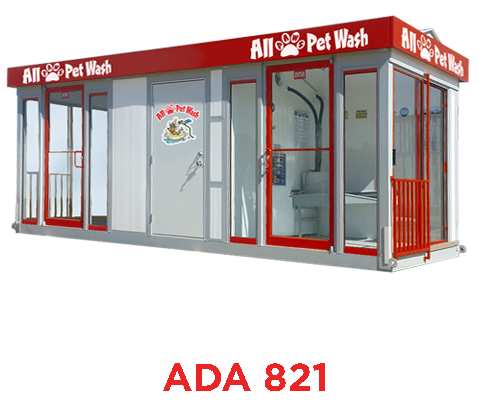 Our modular pet wash buildings offer all of the convenience of our APW models with the addition of a fully enclosed building. A sizable pet washing bay (or two) attached to an equipment room, these buildings are fully air-conditioned for the summer months and heated (water too) for those cold winter months. Complete with a dryer and vacuum for sucking up all of the excess water left on your pet after a wash, we ensure that pets will be comfortable while also being pampered. Modular buildings come in two sizes, a single (8' x 13'), and a double (8' x 21') and are completely ADA compliant. 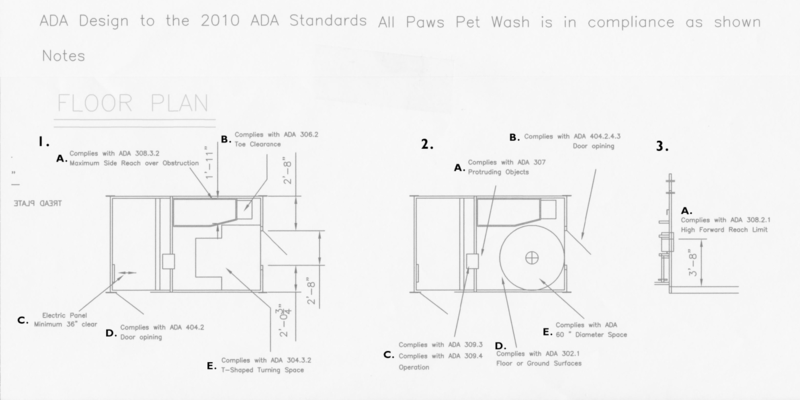 The ADA buildings offer all of the convenience and services as an APW but in a controlled environment. Make your unit available 24/7 to maximize your revenue! 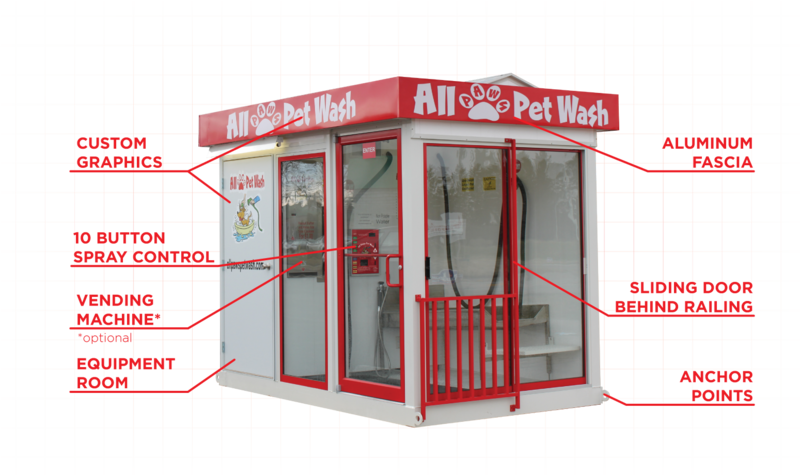 Dog wash stations are the perfect opportunity to make a few extra dollars without having to invest a lot of time or energy. Like all of our units (excluding the Manual Tub) our ADA Modular Buildings are ADA compliant. Click here for a diagram with more detailed information. That’s all there is to it! 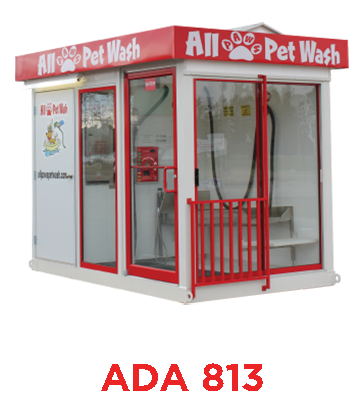 You can have a self-serve pet wash up and running in no time at all, turning a profit and making use of otherwise unused space. For more information on the ADA Modular Buildings, Contact us today!